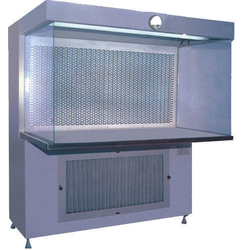 Manufacturer of a wide range of products which include ceiling mounted laminar air flow, laminar air flow, horizontal laminar air flow and operation theater laminar air flow. 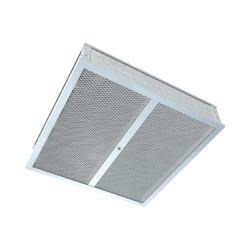 We are a leading manufacturer and supplier of a wide gamut of Ceiling Mounted Laminar Air Flow to our clients. Our valued clients can avail these products in a huge range as we manufacture them using supreme stainless steel quality material without any joints or gaps. Possessing attributes like Hygienic, safe and effective to use, this equipment provides a perfect particulate free environment for manufacturing and in research. Under the strict guidance of seasoned professionals, we are manufacturing and supplying an exclusive Laminar Air Flow. Our offered product can also be availed in varied of sizes and dimensions. 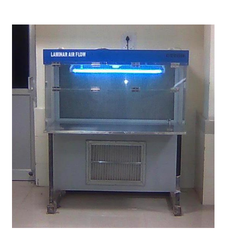 This Laminar Air Flow is used for operation theater applications, pharmacy filling and packing line. Our provided air flow is extensively appreciated by our clients for featuring variegated attributes like optimum quality. The offered air flow is delivered from our end only after testing it properly. Clients can avail the entire range from us at reasonable prices. 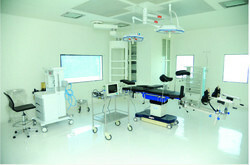 We are the Leading Manufacturer of operation theater laminar air flow.